I pretty much flipped out when I first spotted these gorgeous baroque silvery-blue akoyas at the gem show. 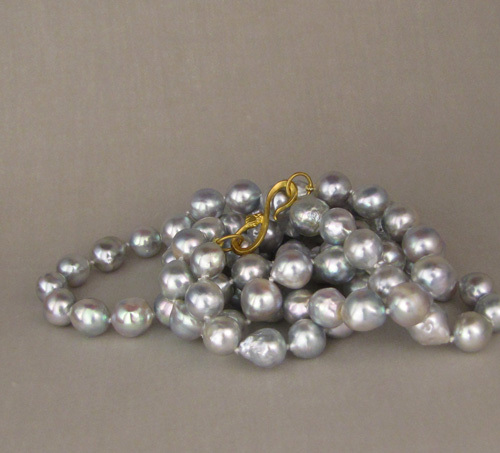 I’ve only ever seen akoyas that were perfectly round, very prim, very Mikimoto-style. These are not those. 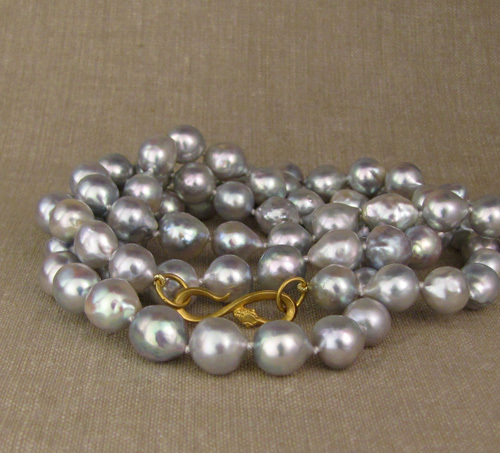 I have a particular fondness for blue-tinged pearls in particular too. 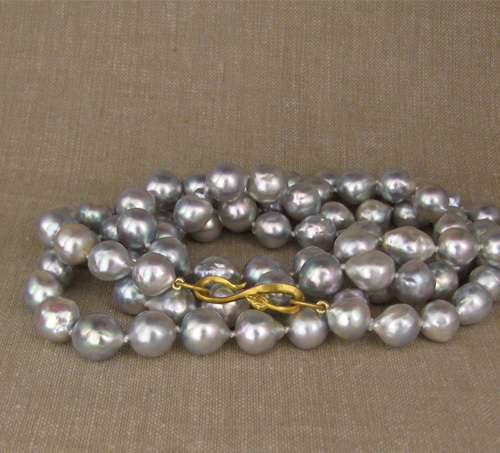 I knotted these on silk into a 32″ strand with 22K carved snake S-clasp. I like the contrast of these icy akoyas with the super warm 22K. These akoyas have a lot of color actually, and tend to look a lot different depending upon the lighting, the background, etc. 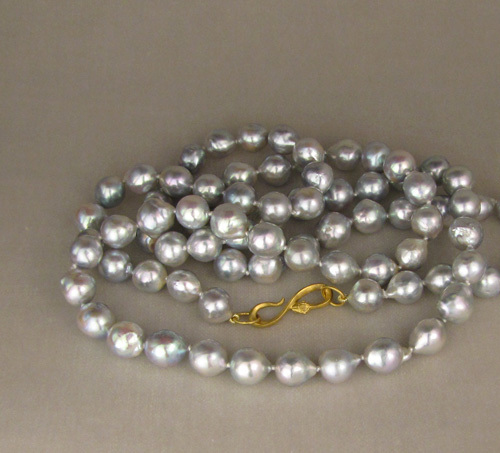 This entry was posted on Saturday, January 26th, 2019 at 10:08 am	and is filed under New work, pearls. You can follow any responses to this entry through the RSS 2.0 feed. You can leave a response, or trackback from your own site.